Zazzle.com is an amazing resource for charming décor and life accessories like posters, cell phone cases, printed mugs and customizable gifts of all kinds. Just about anything you can think of, they make: blankets, mugs, cell phone cases, sneakers, shirts, laptop cases, notepads, tote bags, lighters, jewelry, pillows, hats and more. They even customize wrapping paper and gift tags. 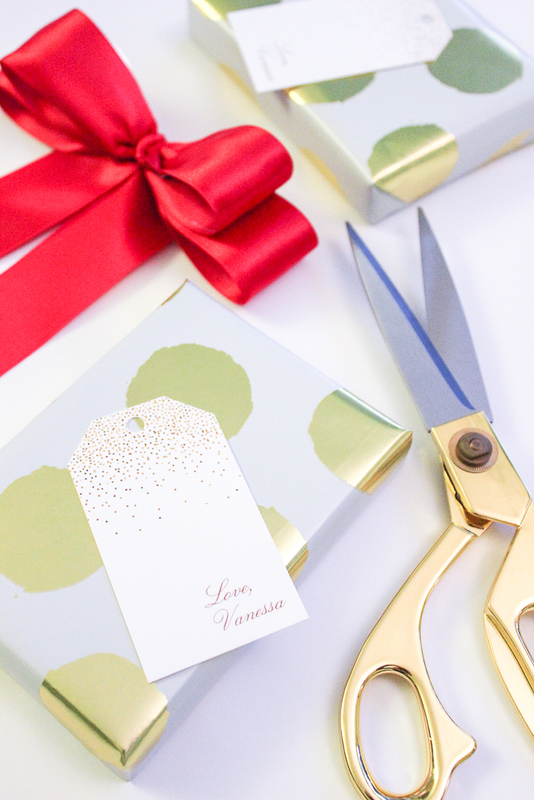 Pictured at the top of this post is the gold glitter gift tags I customized for all my gifts this holiday season. The customization is endless, the quality is solid, and the customer service is fantastic. If something doesn’t turn out right, they will fix it right away, free of charge. 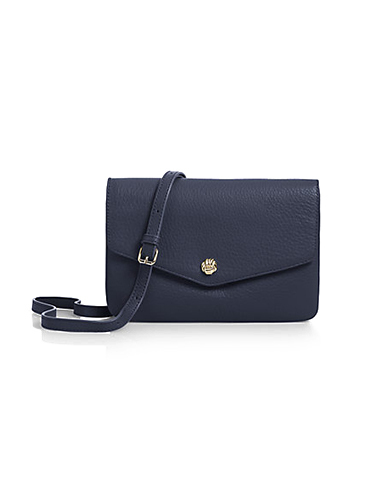 Talbot’s Double Gusset Crossbody Bag is that perfect size handbag for a social day or night out. It can carry sunglasses, money, credit cards, lipstick, cell phone, tissue, lip balm etc. It’s not too big, not too small, and the leather is absolutely yummy soft. I also love the sturdy structure, the leather may be soft, but the purse is strong. They have multiple colors available, but yellow (lemon shine) is my favorite, and the navy has that preppy chic vibe I love. This for the gal all about classic style. J.crew has a handful of completely delightful, flattering and yummy soft ‘travel collection’ t-shirts right now. 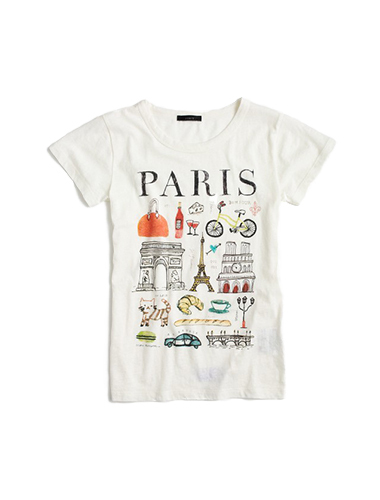 There is a tee for Rome, Venice, Paris and London. Paris and Rome are my favorite. If you choose to get this for the women in your life, order 1-2 sizes up. The size small is quite tight on a size 4-6 women. Surprisingly, the medium or, even a large flows much better. Personalization is always a treat. 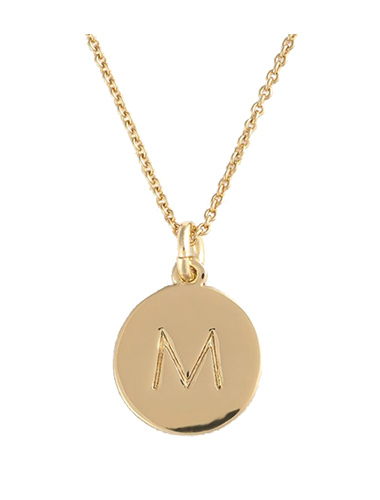 For the women on your list under 30-years-old, this Kate Spade initial necklace is a quick and easy gift. 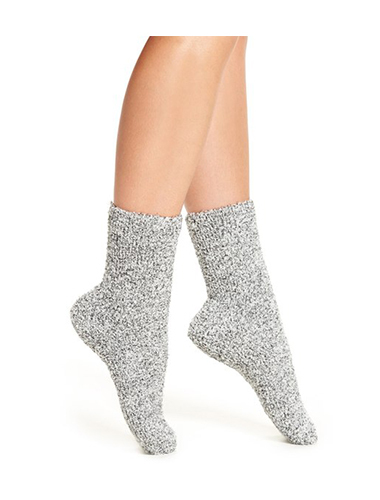 I adore yummy soft socks like these in the winter. A friend of mine actually got them for me last Christmas, and I have been obsessed ever since. Cold weather + Butter Slipper Socks = heaven. 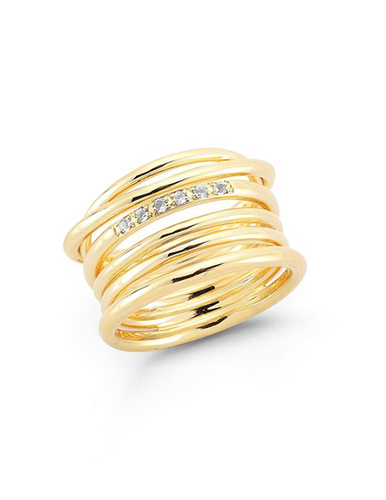 I adore this Elizabeth & James gold cocktail ring. It is comfortable, versatile and chic. 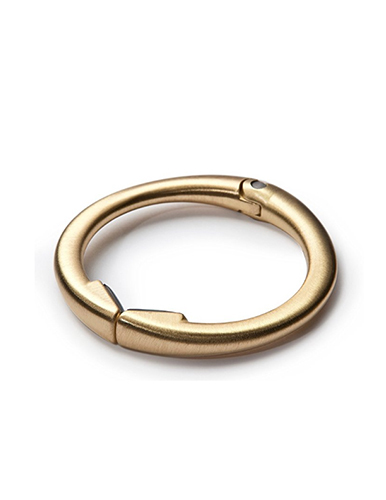 Most women know how hard it is to find the perfect gold cocktail ring, so they will appreciate this gem of a gift. 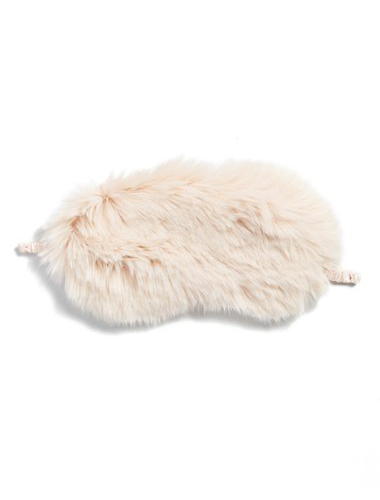 A faux fur eye mask is such a fun gift for the charming gal who has everything. How many people do you know that have actually gone out and bought themselves a faux fur eye mask? Not many. It is a foolproof plan of getting a gal something she doesn’t already have. I love the slim fine jewelry pieces out right now. 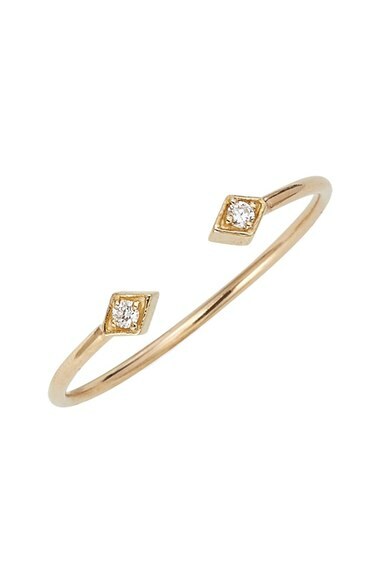 So many designers are providing us with these delicate pieces, but Zoe Chicco is one of my favorites. This is the best compact purse holder out there. It may not be the most adorable option, but it works everywhere, including rounded surfaces. It is perfect for a stocking stuffer, or small gift for a friend or co-worker. 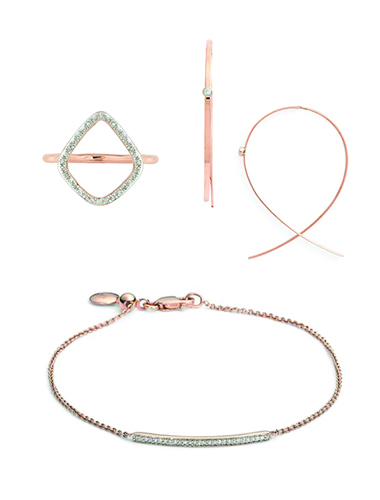 The Lana hoop earrings, Monica Vinader ring, or the Monica Vinader bracelet are wonderful gifts by themselves for the gal that loves rose gold jewelry, but for the woman that has yet to collect complimentary rose gold pieces, you must get her a full rose gold jewelry cluster so she can wear it right away. You know the girl that thinks gentrification is a dirty word and health crazes make her want to punch someone? Hell, maybe you are her. If so, you’re going to love the book Glop by Gabrielle Moss, which is a parody on Gwenyth Paltrow’s lifestyle blog, Goop. 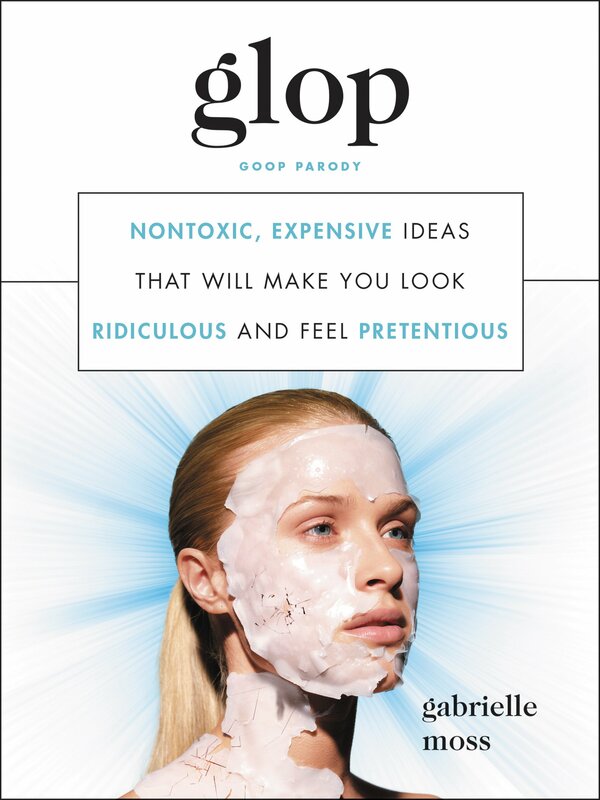 You don’t even have to dislike Goop to enjoy this book. I love pilates and admire any human being that eats quinoa, yet this book had me laughing out loud. I particularly enjoyed the chapter on “Learning what A ‘Boss’ Is So You Can Explain That You Are Your Own.” I recommend reading this out loud to your family on Christmas day or on the second day of Hanukah. My blog posts are my honest and personal opinion. Sometimes my content includes products sent from companies or PR firms. In this case I was sent samples from Zazzle.com, Talbots and Harper Collins. If I am sent something that is unimpressive or boring I don’t write about it.